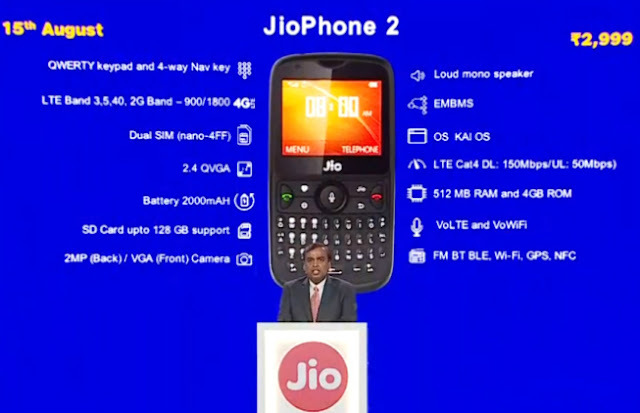 Reliance Jio announced a bunch of new services and devices for consumers at its Annual General Meeting (AGM). One of the key announcements was of the JioPhone 2, which is touted to offer enhanced functionality over the existing JioPhone. It features a 2.4-inch QVGA horizontal display and some new features like support for VoWiFi and evolved Multimedia Broadcast Multicast Service (eMBMS). 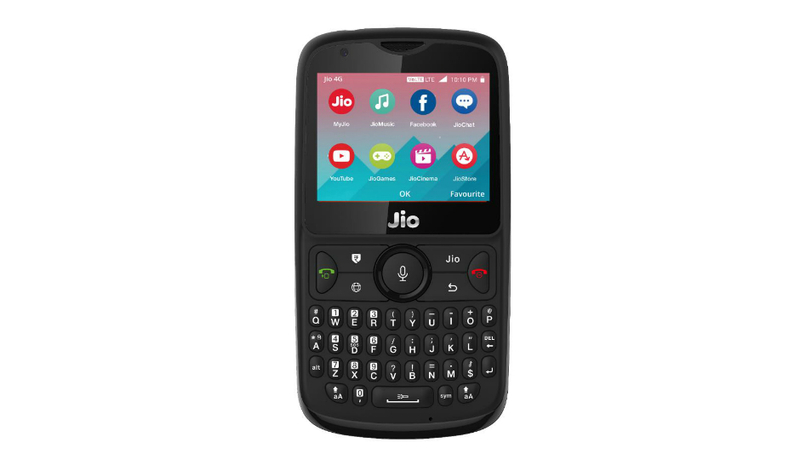 The JioPhone will also soon be able to run WhatsApp, Facebook and YouTube starting August 15, and the company has also announced a Monsoon Hungama offer for its consumers. Under the offer, one will be able to exchange their existing feature phone for a JioPhone by paying a sum of Rs 501. This offer can be availed from July 21. Back in January this year, UltraNews reported, The true extent of the deployment of the technology by Jio is not clear yet. In its quarterly update, Jio said it performed an “eMBMS broadcast stream across Pan-India.” Still, this alone would make it the largest eMBMS trial or deployment anywhere in the world. Reliance Jio had an unreleased app on Google Play store called the JioBroadcast, mainly for the testing purpose. Its description revealed that it offered HD quality streaming on Jio LTE devices. Going by the subscription model starting at Rs 400, Reliance Jio might as well ditch the JioDTH for the JioHomeTV service. The JioHomeTV is said to work on the principle of eMBMS or Enhanced Multimedia Broadcast Multicast Service that the company is testing over a long time. The eMBMS is a technology that mixes the one-to-many broadcasting technique, mainly used in television and radio broadcasts, with the one-to-one pattern used by the telecom companies, in order to enhance the scalability of the broadcast. It would be interesting to see if this works out. They have a good value proposition for TV broadcast (not just mobile-TV) over eMBMS and have a huge subscriber base they can tap into, making it probably the largest deployment in the world. I am looking forward to more news.